Wow, you drew all this on your own? It looks fabulous. The atmosphere fits to the look of the character and truly, she looks really cute. I like her pose and her clothings. The colouring is great the shadows and highlights are very well done. Great stuff, but yeah leg structure is pretty munted. Good use of tone though good wall! I esp like the tilted roof! You can draw very well. 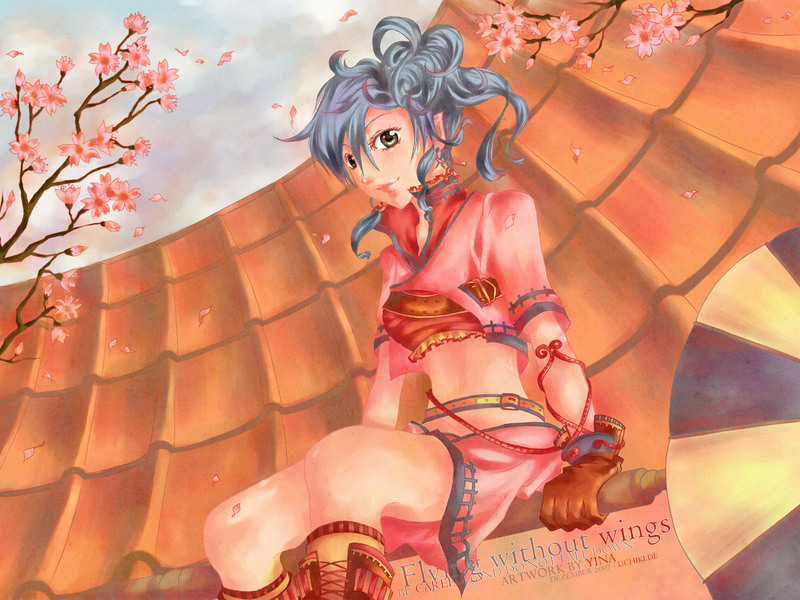 Great pastel colors, and the roof perspective is good too. Background is nicely executed, fitting the character really well. I don't think there's much to say about her shoulder, and her legs are okay (well... almost X-D).